I will say though, after repeating the same steps a few times I think the VM and the HXE image warmed up to me and let me play with it for some time. In any case, I wanted to share with you all, my experience while doing these well documented steps by SAP, reading blogs and even watching a few you tube videos from Thomas. a lenovo T480 laptop w 1 TB of SSD and 32 GB Ram. I downloaded the VMWare workstation player 14 and assigned 16, 20, then 24 GBs RAM into this VM to test out the various ways this installation may perform. With out a doubt, please assign as much as possible to your VM so your HXE can run smoother. My first few steps were following the Getting started pdf provided with the installation of HXE. Please read a few steps ahead and remember to take notes in case u need to refresh what you just did. Keep in mind you will be updating your windows host file (if you are using a windows OS like me) and you must open it as admin in order to be able to save your host file. This installation took me a few hours – again, due to the several attempts while increasing the RAM dedicated to the VM. Then, It was time to explore and see what all new features, cockpits and screens were there in this new HANA version and SP. 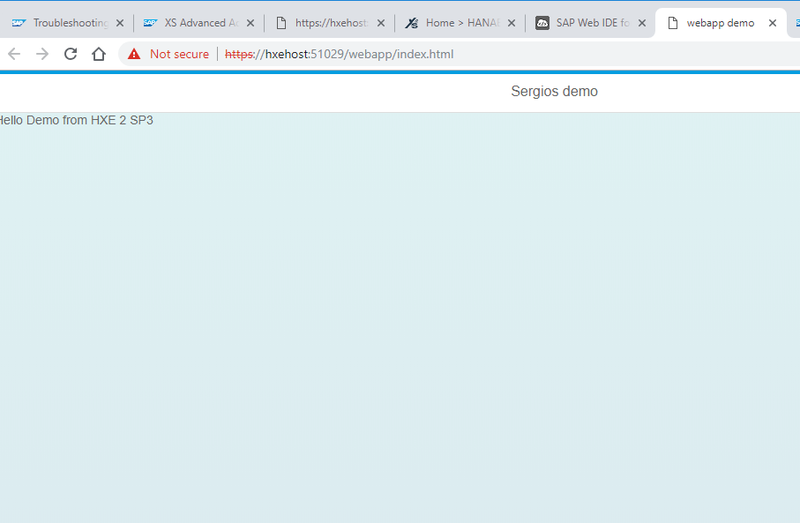 For anyone out there needing to know the ports were some of these sap provided apps are, please visit the XS control API – it has links directly to the various tools you will be using during the development and administration of your HXE such as the HRTT, webide, among others. 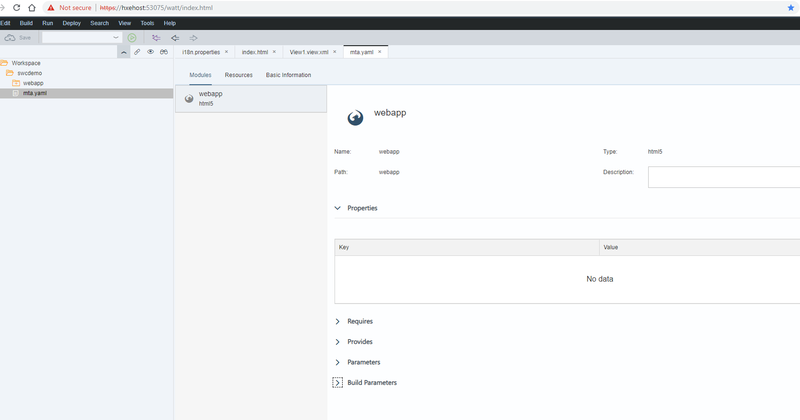 create the sapui5 html module – provide it with a name, a namespace, then click on finish. 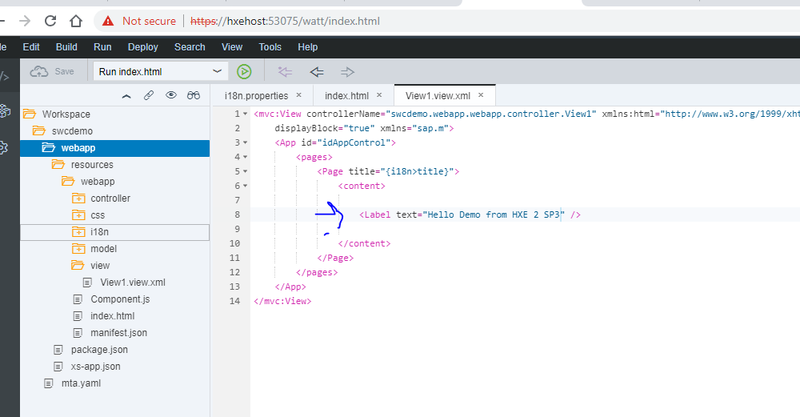 once you have the ui5 module in your project, open it, go to the view1 and add some content to make sure this is working. similarly you may open the i18n file, modify the text and save it. Keep in mind that adding any module (ui5, db, nodejs) to the project will automatically get added to the mta.yaml file. if you are new to XSA, you may wonder, what is the mta.yaml file? The mta.yaml file stands for Multi-Targeted applications. it is a structured file but be very careful if you decide to open it with the code editor… instead you should try using the graphical editor. save your patience for later. 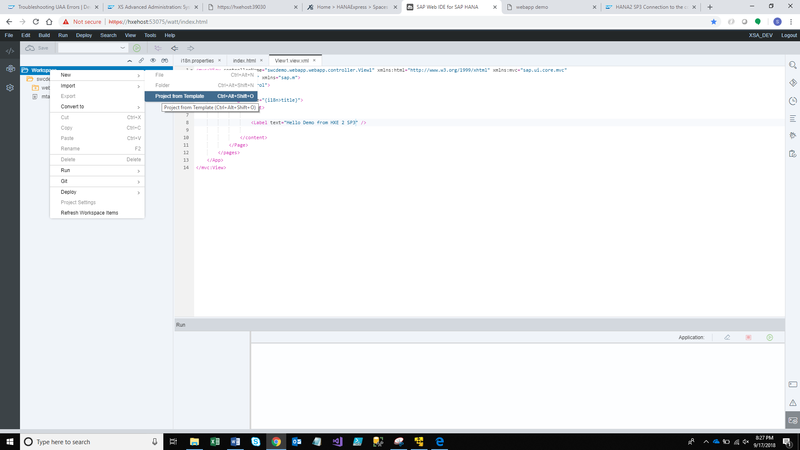 For additional content and how to build a sapui5 app / custom fiori application using the web ide, see my developing UI5 apps via the SCP the difference there will be only the web ide… and maybe a couple configuration files, otherwise, see how to add ui5 controls, etc. Now, Back in the cockpit – we can see the app has started inside the ‘development’ space. This is the entry point of the application and we can set up to have a route base app. 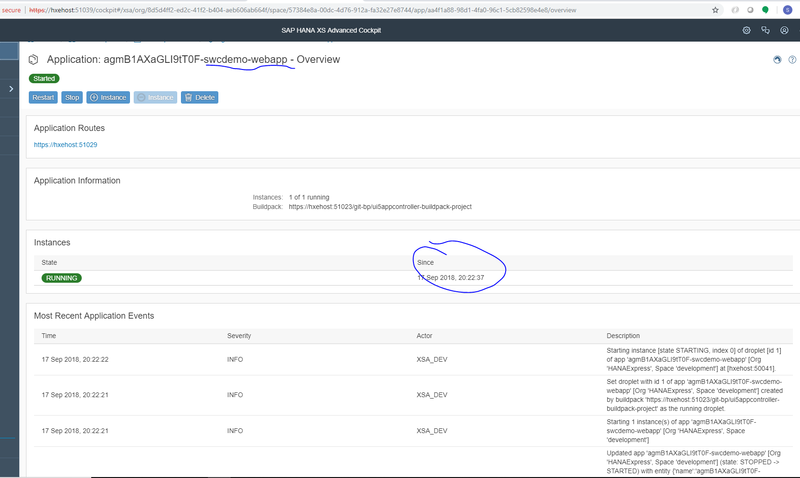 *the issues I saw here is that the SPACE (development) had not been set up… if this is the case with you, please right click on the project… go to Project Settings and click on SPACE and select your space from the dropdown menu. ** the space may not be populated the first time you visit your project… try to save click away and then come back and your space should now show. And click on New Instance to create your new instance … after you are done, it should look like below. If you are unable to follow the navigation, you can also look at the breadcrumb section on top of the page to go back/forth on your nav. did not know really how to navigate to the cockpit to find a way to create a service instance. Understand what the UAA-service is and does. * this is probably the main item in this step. I recommend reading about the entire XSA architecture – Thomas J has a few good blogs out there on the topic. This simple blog pretty much wraps my part 1 of the learning I had while installing HXE 2 SP3…. 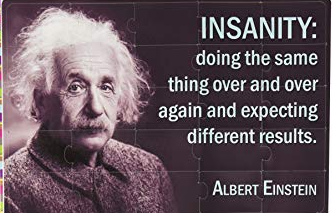 my next step : What if now we want to create a DB module to consume it in the application..
doing the same thing over and over again and expecting different results if di-core hasn’t crashed. My environment is MacOS High Sierra, with 1TB disk (not SSD) and 32GB RAM. Using VMware Fusion 8.5. I am finding it very difficult to get a reliable setup. I am wondering if I should try Docker instead. i am on windows 10 and i can tell you that the initial set up took me at least 5 times.. it is difficult.. 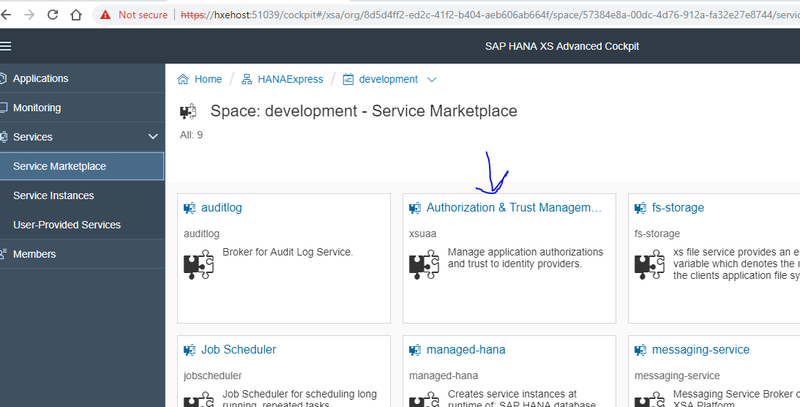 I do not know if it is related to the installation itself or any other configuration not really specified by SAP. I also run other software such as Visual Studio ’17 community and I see no problem with other software… only w the HXE… maybe SAP can provide additional details. In my current exercise, I am trying to extend the CDS context by adding additional entities, associations, etc.. i am able to build and run… except for when i try to build the nodejs module.. now i am getting some gateway timeout which i am currently researching – i have re-deploy the di-enablement service, and re-build my modules but i am unable to run it at this time….